Truly you need to be a celebrity in order to create a great Online Course, a great online business that involves selling books, courses, and even speaking events. CELEBRITY - the state of being celebrated ... Your tribe must celebrate YOU. This is truly a key factor that will determine your rate of growth and the success of your endeavor. People want to celebrate those who are doing the things we all dream of doing. You must be a celebrity to YOUR CLIENTS. We discovered this in many fields... hairdressing, accounting, insurance, entrepreneurship, and the list goes on. The simplest thing to do is to use social media to spread what YOU ARE DOING that would prove to be interesting to your potential tribe. Make it happen. Be disciplined with your posting, be pragmatic, stay smart and committed to the outcome. CEO and Founder of YOUWILLCHANGETHEWORLD.com, launching entrepreneurs with their own unique course to have a huge impact in the world. People who are excited, passionate and determined should have the best tools available for their success. The best way to expand any brand is to manage what people LE . . . In Chapter Nine of my latest Book "Overcoming the Rockstar Mentality" I discuss the importance of defining your culture and the simple elements that cultures all must have in order to thrive. A strong business culture ne . . .
Three Secrets to Grow Your Social Media Presence! I wanted to talk today about something that I think is really important as we’re moving ourselves forward. There's three things that really make a difference in building your digital brand and there's some really importa . . .
STOP CRYING: Yes I said it! SO YOU WANTED TO GET IN THE RING OF ONLINE COURSES, the ring of business, the online world of digital millionaires who are sharing their passion and living their purpose. So you went out a . . .
We recently got to connect with 120 of the really top top influencers from around the world, so, first of all, thank you Peter Halm, big shout out to you Andy Shaw, too. You guys rocked it, absolutely rocked it. So here' . . .
WHY WOULD YOU LEAVE A MILLION Dollars on the table for someone else to have? PEOPLE DON'T KNOW WHO YOU ARE, WHO CARES!? So how will you sell a course and share your expertise? Everyday people are getting involved with . . .
FROM EXPERT to EDUCATOR: Are People Connecting to YOU!? Are people connecting to your message? One of the most important things that can happen when you are transitioning from EXPERT to EDUCATOR is that people are really understanding your message. T . . .
"HOW DO YOU CHANGE THE WORLD?" The Simple answer is obvious, start by changing yourself. I Would offer that there is another way to remove judgement and offer help. I believe "UNTIL WE ALL" choose to remove judgment we . . .
We share the importance of "mentoring" but what really does mentoring mean? Well it means "an experienced and trusted adviser". BUT consider this an online instructor is not a mentor, tough but in . . . If you are not excited about your own course then who will be? AS an online educator it is important to always be excited about what you are sharing, your excitement will excite others. We must always reme . . . Your 'why' is as important as your content. The reason that you feel compelled to help others find their voice and move forward on their journey. We cannot get there alone and creating a path for . . . It perhaps seems obvious, raving fans of course we need them, But the truth is you NEED THEM. What I mean is that it is not 'NICE TO HAVE THEM' but you actually need them. These are not the fai . 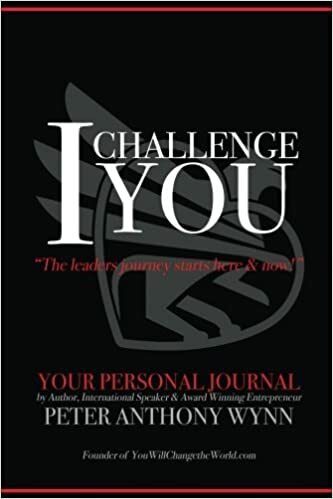 . .
Peter Anthony, why did you start [YouWillChangetheWorld.com](https://l.facebook.com/l.php?u=http%3A%2F%2FYouWillChangetheWorld.com%2F&h=ATOevpkPSKEwHghZPRDjGBRKCQbOti7soQFeTIU2F . . . Frankly Clarity is everything! AS it applies to your online course and the marketing of that course it is absolutely in the TOP THREE THINGS you must have when creating an online course. Actually, it is among the top thr . . . I hope you guys are having a great day. I was driving from Las Vegas to California on my way to Frank Kern’s office and as I am hanging out with his inner circle group today, I sit here and one of the things I . . .